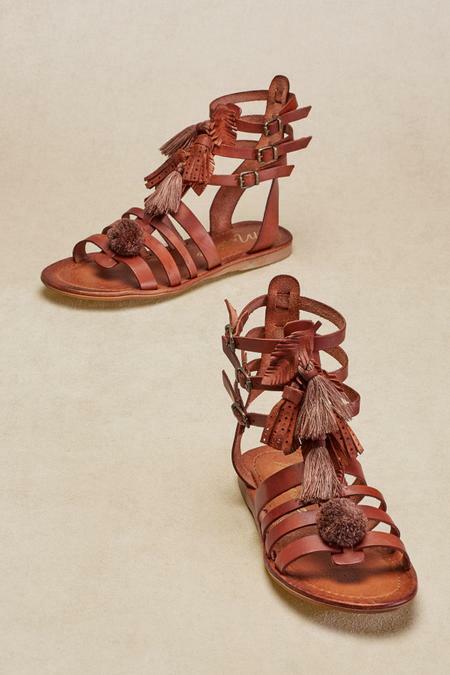 Energy accompanies every step in these upbeat gladiator sandals crafted of rich Spanish leather, with swingy tassels and leaf cut-outs, topped off with a puffy pompom. The strappy style features three adjustable buckles, plus a padded footbed, cool leather lining and man-made sole. 1/4" heel. Cognac.